The Power of Positive Thinking was birthed due to Peale's concern for the pain faced by mankind, providing the readers with tools and techniques to bring about peace of mind. This will enable them to lead a constructive life. The readers are guided into the secrets of positive thinking, which will help them move fast their past failures and achieve the goals they've set. Peale throws light on certain techniques that are geared towards preventing readers from accepting defeat over the things that affect their lives. These techniques will also help them experience an improvement in their physical health as well as their energy levels. Peale moves on to talk about individuals who have put these tips into practice and have achieved tremendous results in their lives. He explains that difficulties in life can only impact the well-being of an individual if they're allowed to. The sole reason behind this self-help book is that readers should lead a successful life. Millions have adopted Peale's teachings to become the person they've always wanted to be. Written in Peale's simple, yet engaging tone, The Power of Positive Thinking is a must-read for those who desire to achieve the success they've always wanted in life. 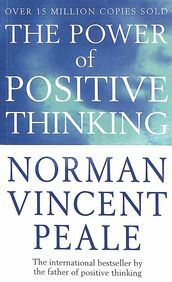 This paperback edition of The Power of Positive Thinking was published by RHUK in 2004. Born in Ohio, USA, in 1898, Norman Vincent Peale grew up helping support his family by delivering newspapers, working in a grocery store, and selling pots and pans door to door, but later was to become one of the most influential clergymen in the United States during the 20th-century. Educated at Ohio Wesleyan University and Boston University, he went on to become a reporter on the Findlay, Ohio, Morning Republic prior to entering the ministry and went on to author some 40 books. Peale confessed that as a youth he had 'the worst inferiority complex of all,' and developed his positive thinking philosophy just to help himself.